London-based Arab newspaper says Iranian Revolutionary Guards who were guarding the installation were killed. The site allegedly attacked by Israel in Syria manufactured chemical and biological weapons, according to a report in Iraqi newspaper Azzaman that appears in London. The newspaper quoted Western diplomats who are close to the regime of Bashar al-Assad. It says that the classified installation, which is located just 12 kilometers (7 miles) from the presidential palace, was guarded by a large contingent of Iranian Revolutionary Guards, many of whom died in the attack. A diplomatic source interviewed by the newspaper said that the attack took place 48 hours before it was first reported. He said that initial reports regarding a convoy that was attacked were meant to disguise the true target of the attack. However, the newspaper reported, some trucks were also destroyed in the attack. 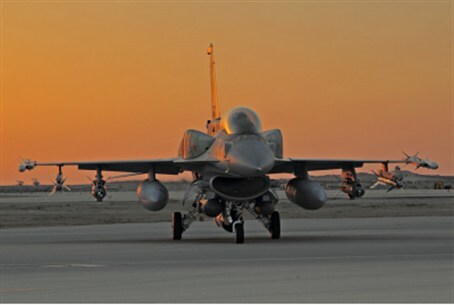 The diplomatic source said that Israeli F-16 jets carried out two sorties over the installation, firing at least eight guided missiles at it as well as at least one bunker busting bomb. The installation was badly damaged and there were numerous casualties. He said that about 3,000 Iranian Revolutionary Guards were stationed at the installation, as well as several Russian experts. He added that the operation must also have relied on good intelligence obtained by Israel within Iran. Syria's Ambassador in Lebanon, Ali Abdul-Karim Ali, told Hizbullah's al-Ahd news website that Damascus ‘‘has the option and the capacity to surprise in retaliation." The White House meanwhile warned Syria not to "further destabilize the region" by transferring weaponry to Hizbullah.